Farmers have an increased risk of non-Hodgkin’s lymphoma (NHL), several studies have found increased risks of NHL among producers or sprayers of pesticides. The findings are markedly inconsistent across countries and studies, but overall there is evidence of an increased risk among production workers and professional pesticide sprayers with heavy exposures.  However, this increased risk does not appear to be confined to workers exposed to phenoxy herbicides containing 2,3,7,8-tetrachlorodibenzo-p-dioxin, and it may be due to phenoxy herbicide exposure itself rather than to the dioxin contaminants. Other pesticide exposures, including organochlorine and organophosphorous insecticides, have also been associated with NHL in some studies, as have nitrates in drinking water. Farmers may also have exposure to oncogenic viruses carried by farm animals, and studies of slaughterhouse workers and meat inspectors have found increased risks of NHL.